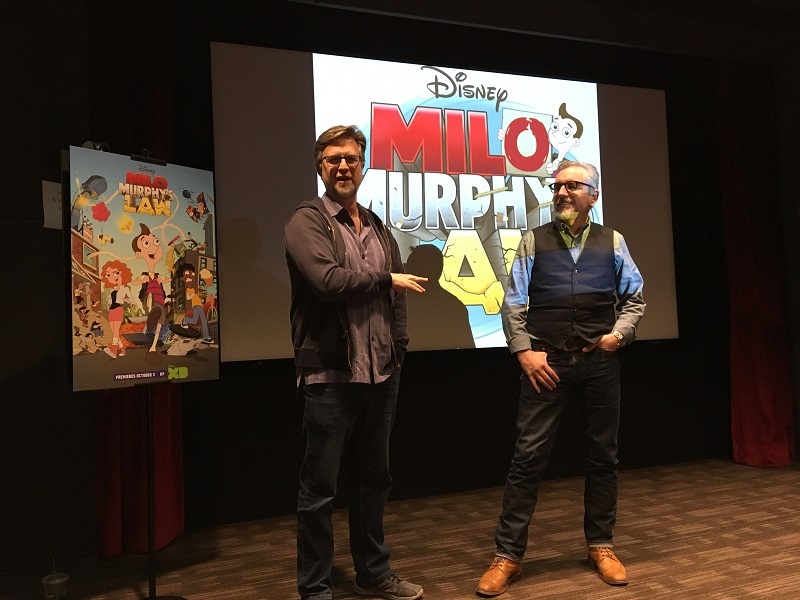 Milo Murphy’s Law is an animated series on Disney XD that features 13-year-old Milo Muprhy. The title pretty much sums up Milo’s life. Murphy’s Law states that anything that can go wrong will so Milo is always expecting the unexpected. 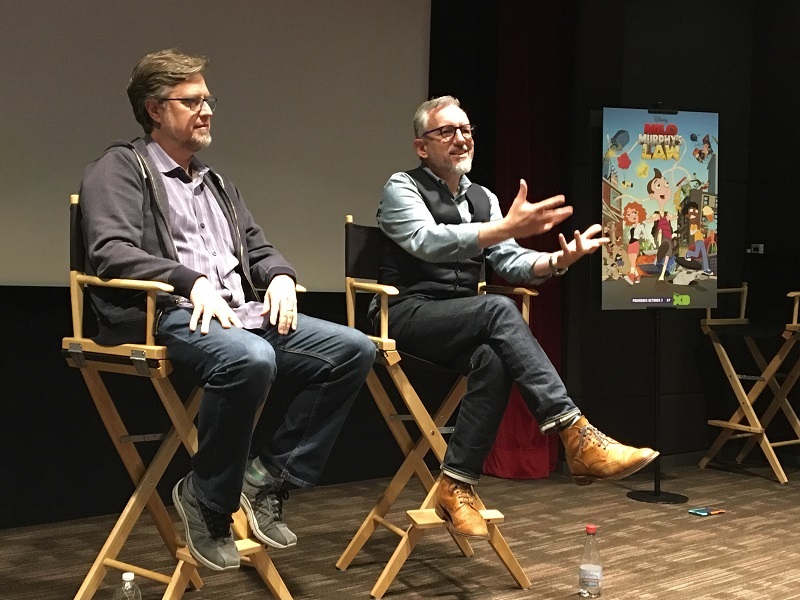 After screening an episode, we had the chance to sit down with the creators, Jeff ‘Swampy’ Marsh and Dan Povenmire, for a a fun interview. You may recognize the names of the creators because they are both known for the popular show Phineas and Ferb! We actually screened the episode with the creators and they said it was really nice to see when the audience laughs and how we responded to it. Of course, they got instant gratification because it is such a great show. 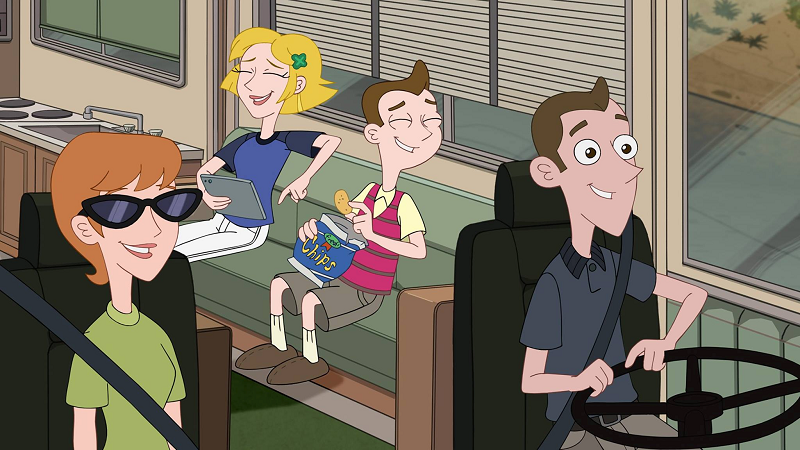 In Milo Murphy’s Law, Milo is always expecting the unexpected. He’s prepared for anything that comes his way, though, as he is armed with knowledge, a backpack full of supplies and a strong sense of optimism to help him get through any problem. Milo has best friends Melissa and Zack by his side to help think outside the box to overcome the obstacles that life puts in their way. 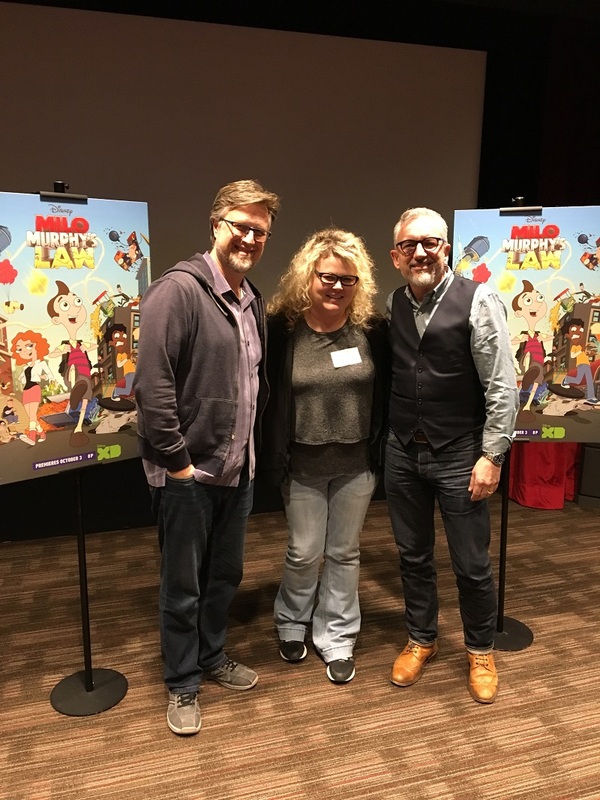 Multiple Grammy winner, “Weird Al” Yankovic is actually the voice of Milo! He also performs the show’s theme song and other tunes featured on the animated series. The creators said “Weird Al” is a wonderful, wonderful guy to work with on the show. They said the weirdest thing about him is actually how normally he is and that he’s not what people would expect. They wanted someone that was positive and that’s exactly what they get working with him. The creators auditioned literally hundreds of people but when he came in they just knew right away he was the right one for Milo. 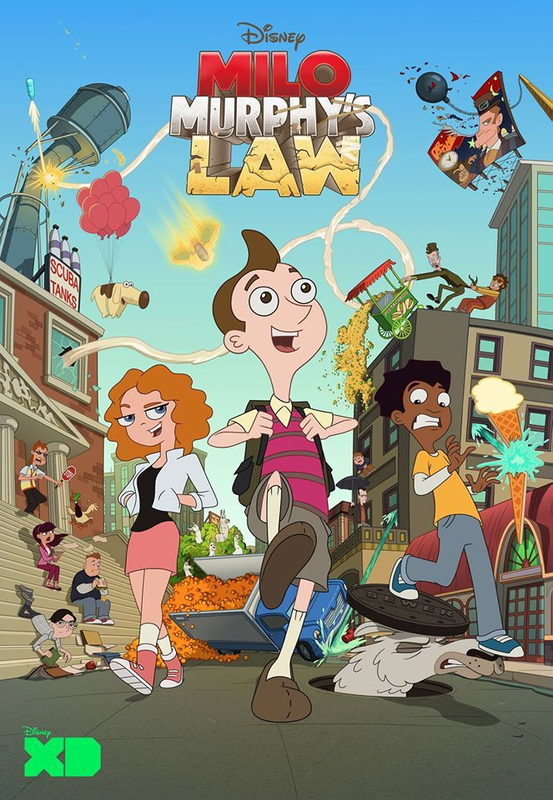 The song for Milo Muprhy’s Law is actually the music from a song they wrote for Phineas and Ferb. They just rewrote the lyrics and made their own Weird Al version. So, it’s Weird Al singing it and it really works for the show. Since Weird Al is an actual musician it makes it so much easier and much more fun for the creators to work with him. Jeff has grandkids that inspire him and actually show up as little characters on the show. Dan said Isabella in Phineas and Ferb is actually named after one of his daughters. So, he definitely had to include his other daughter, Melissa in this show. He said he had it on his desk and his oldest daughter, Isabella, saw it and left a post-it note saying it’s not fair that Melissa gets to be in Milo Murphy’s Law and she isn’t. Dan just laughed! The creators said it’s really great when they hear the whole family is watching their shows together. Nowadays families have so many televisions that they are often watching different shows at the same time. It’s great to be able to bring families together to enjoy a show they can all watch. It warms the creators hearts to know they’re bringing back family viewing. We asked the creators if they have any advice for young kids who are into drawing and doodling. Jeff immediately answered and said to throw away their erasers. They suggested having them draw with a Sharpie. It forces you to make bold shapes. Jeff said he tried this for a year with his own drawings and said it had a huge, positive impact. He then started filling books with drawings. Milo Murphy’s Law airs on Mondays on Disney XD.